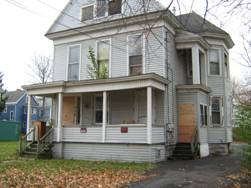 If you own or manage a property in the City of Syracuse and are having an issue with subjects regularly trespassing on your property and/or committing other crimes, you may want to sign a trespass statement with the Syracuse Police Department. A Trespass Statement signed by the property owner or property manager authorizes police to arrest violators on the spot. If you would like to complete a trespass statement or would like more information please call 448-8647.